In 1992, Furdi’s moved across the street to a new office and warehouse where it still resides today. This location is mainly used for mobile home parts and supplies and some reconditioned homes. Pat Jr. joined the Furdi’s team right out of high school as a service man. He is now in charge of field work, service and does some sales. After a year at college, Greg made the decision to come work with the rest of the family. He operated heavy equipment and transported the homes. Now he works mainly in sales with his father. In 2000, a new sales lot, Home Center by Furdi, was opened in Volney at 2920 St. Rt. 3. This location is where all the modular homes and double wides are displayed. In March 2015 we combined our offices into one at the 2920 ST. Rt 3 location to be more accessible for our customers. We currently still offer all of the same services to our clientele including sales of modular and manufactured home, manufactured home parts and rentals. 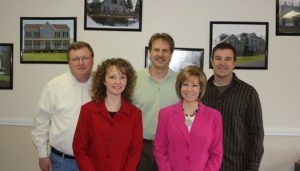 Our dedicated sales and service staff promises to provide you the best quality homes, service, pricing and value. We look forward to hearing from you.